The Norfolk Explorer is our new 17ft open Motor Launch. The first motor boat in the Norfolk Range. 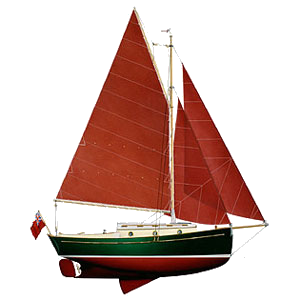 She is based on the modified lines of our very popular and pretty Norfolk Oyster. The basic spec is a very hard wearing and low maintenance Motor Launch that can be used all year round. We offer a very comprehensive extras list and provide additional equipment and fittings to meet every possible use. 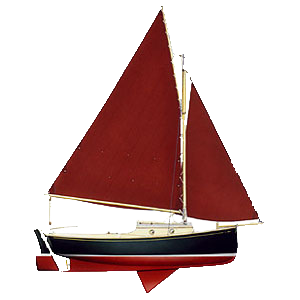 From teak trim, engine top tables, seat cushions for a comfortable launch or Yacht Tender – to fishing in style with stainless steel rod holders and additional bait boxes. A pram-hood spray dodger is also available. The hull and deck mouldings are made to the same specification as the Norfolk Oyster using the highest quality resins and with a clear gel coat below the waterline to prevent osmosis. 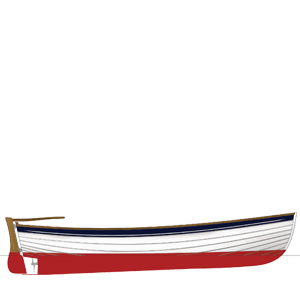 The fore deck and gunwales are constructed from teak. 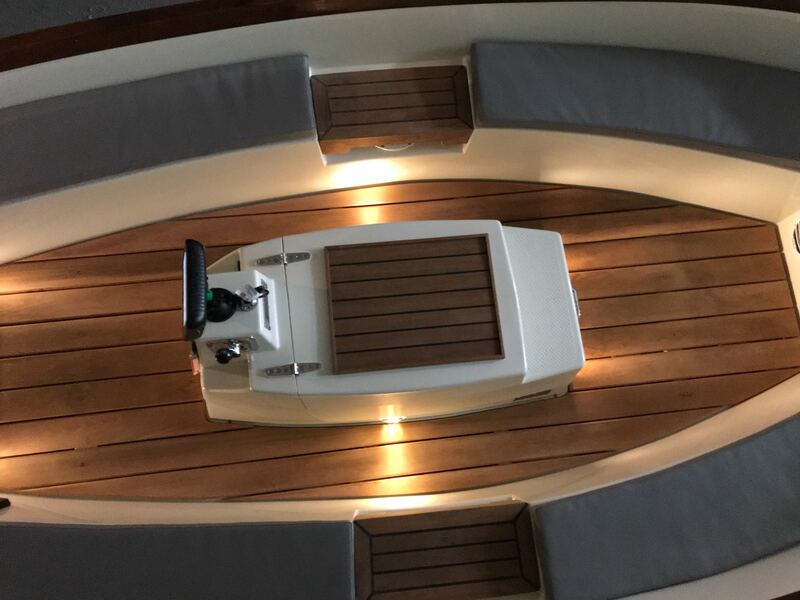 The interior is layed out similarly to the Norfolk Oyster with a low fore deck area to make mooring and anchoring safe and comfortable; this also gives the boat a roomy feel with space for children to sit forward in safety. The forward section of engine box offers an extra seat while the top works well as a table, slatted with solid 6mm of teak as an option. 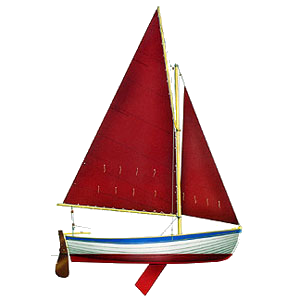 The large 14″ propeller and rudder blade are protected by a stainless steel skeg. 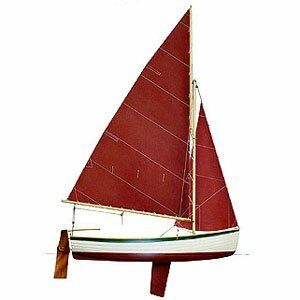 Two large fore and aft lockers come as standard with flush fitting hatches and will provide ample stowage for a day out on the beach as well as holding all of your fenders and warps. As standard she is powered by a reliable smooth running twin cylinder diesel engine. This will produce enough power to push her along with 6 people on board including kit at speeds over 6 knots. The fully water proof push button start engine control panel comes as standard with warning lights and a tachometer with an hour meter. All of the controls are mounted on the aft end of the engine box allowing you to comfortably control her standing up as well as seated. The Norfolk Explorer is an uncompromising boat, worthy of its place within the Norfolk Range.